Announced earlier this week, Magpul is now manufacturing 40-round Gen M3 PMAGs. These new magazines not only promise ten more rounds of PMAG performance, delivering a capacity not often seen with most AR/M4/STANAG magazines, they also are blessed with all of the third-generation features of Magpul magazines. 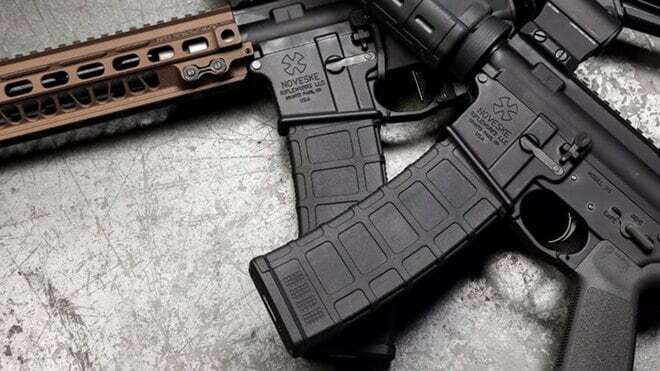 Magpul is currently shipping these magazines through their distribution channels, and even went so far as to offer residents of their home state of Colorado priority to buy these new magazines. 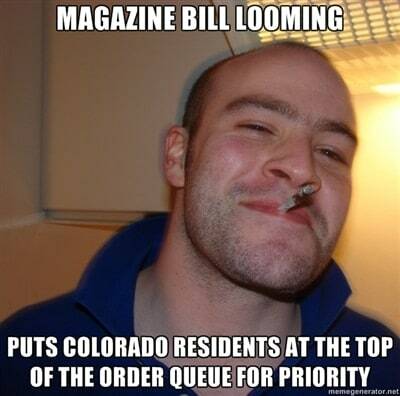 Colorado recently passes a magazine capacity limit that goes into effect July 1. For everyone else, several websites are taking pre-orders, including Brownells, who is offering them for less (a dollar less) than MSRP at $19 per magazine. Even at full price these magazines are going to be incredibly popular. Everyone like extra ammo, even when it’s hard to find. And when most magazines with capacities greater than 30 run $40-$50, at these prices Magpul is going to tear through their competition. The new magazines have taken years to develop. They are compatible with a wide range of rifle platforms including those that wouldn’t accept the previous-generation PMAGs like the Marines’ new M27 IAR. They are also rated to feed at up to 1,150 rounds per minute, ensuring that they can be used with just about every fully-automatic firearm that uses AR/M4/STANAG magazines. These magazines have a handful of other features that is likely to insure that they are some of the most popular magazines on the market, including the over-insertion stop which prevents the magazine from getting slammed too far into the magazine well and into the bolt catch, which can cause damage to it and the lower receiver. The PMAG also has a slimmer floorplate to make it more compatible with tight magazine pouches, specifically double and triple mag carriers. And it’s been remodeled with a more aggressive texture along the front and back to give you a better grip. Part of the new texture includes a four-character dot matrix for paint pens that lets you easily and clearly mark your mags. This isn’t the only magazine from Magpul that’s going to get a lot of attention. Leading up to the NRA Annual Meeting, the company let it be known that they were getting into the AK accessory business. They have developed a 30-round AK PMAG that looks and feels great, even though it’s a low-cost commercial model. Magpul will start selling a hardier model with steel feed lips and locking lugs, similar to current Bulgarian magazines, which are considered to be the best on the market. Located in Boulder, Colorado, Magpul has said that they are going to leave the state because of the newly-imposed gun control laws. They have joined over 50 of the state’s sheriffs and several other prominent manufacturers and organizations in a federal court lawsuit. The company also recently offered 5-packs of special edition magazines to raise money for their legal fight.